“Santa’s coming! Santa’s coming!” Quick pole, who do you think in my household would be more likely to shout this? If you guessed anything other than, B. My Mother, you are wrong. Thanksgiving morning every year my mother turns back time and becomes a child. She wakes everyone up at promptly 9am singing that the Macys Thanksgiving Day Parade is about to start. While my father and I stumble down the stairs in our Pajamas and squirrely bed heads, whispering obscenities under our breath; my mother sits like a child on the couch watching the parade waiting for the arrival of the holiday season kickoff, Santa. It’s a tradition, a weird backwards tradition. The balloons go by, the marching bands, the weird singing acts that get stranger with each passing year, until finally my mother’s big moment. I watch them build, like puddles on a rainy day, her eyes slowly gloss over then overflow with tears of memories. For the past 50+ years my mother has done the same thing every Thanksgiving without skipping a beat, as a child, to young adult, to mother, to now. Thanksgiving morning has always brought her to tears knowing that the season of family, love, and Santa Clause was about to Kick off. Another tradition in the family is the pies. It doesn’t matter who makes the dinner, or who says they will make the desserts; my family still makes the pies. Until last year it was solely my mother; apple pie, chocolate cream pie, and pumpkin. But some traditions need to be spiced up. Until two years ago I never made a pie, any kind of pie. You name it, I’ve never made it. But that was the year of the great apple picking. My mother and I went apple picking and bought our weight in apples. We don’t know why we did this, but for the next few weeks there were apple everything. Meals, sides, sauces, turnovers, pancakes, if you are what you eat, I was a big fat juicy apple. My favorite way to eat an apple is on a stick, covered in M&M’s and caramel, that’s when I found the recipe for a caramel apple pie. It sounded perfect. What is not to love about caramel, apples, and brown sugar? There is something about this combination that is warm and inviting. It is like the pie is wrapping you with a warm brown sugar blanket saying, “sit down and stay awhile”. 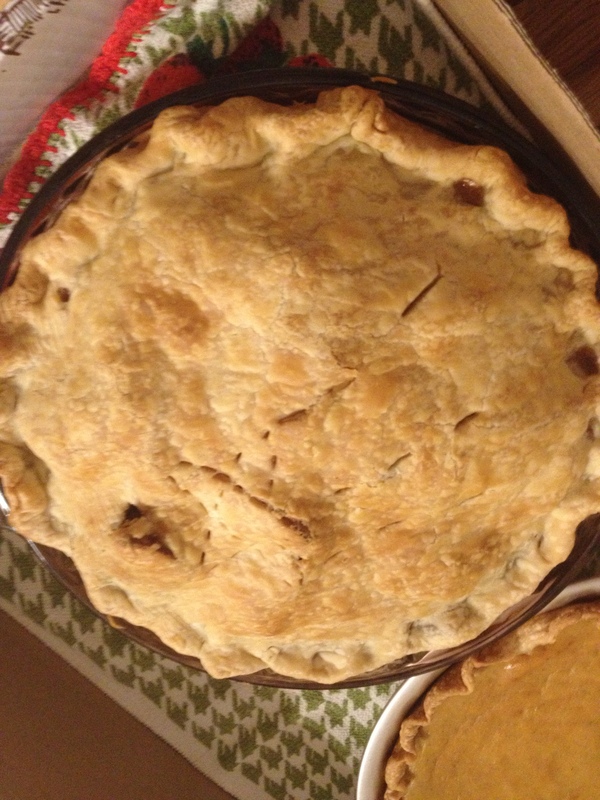 I made this for the first time at home; it was a bonding experience for my mother and me, my first pie. It came out perfect. Warm, crispy, and with the home made love that you just taste. 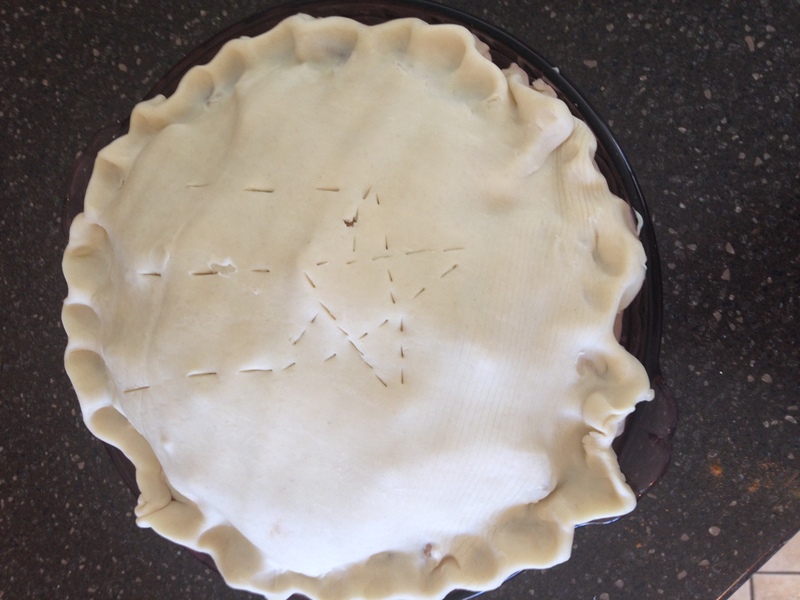 For the beginning pie maker this is one of the easiest pies you can ever make. We spent hours on the crust (as you can see in the recipe I am joking), after a few ingredients thrown together and an hour in the oven, this masterpiece is complete. From my tradition to yours, I hope you enjoy your caramel apple pie, don’t forget the ice cream!!! Prepare crust as directed for a two crust pie. 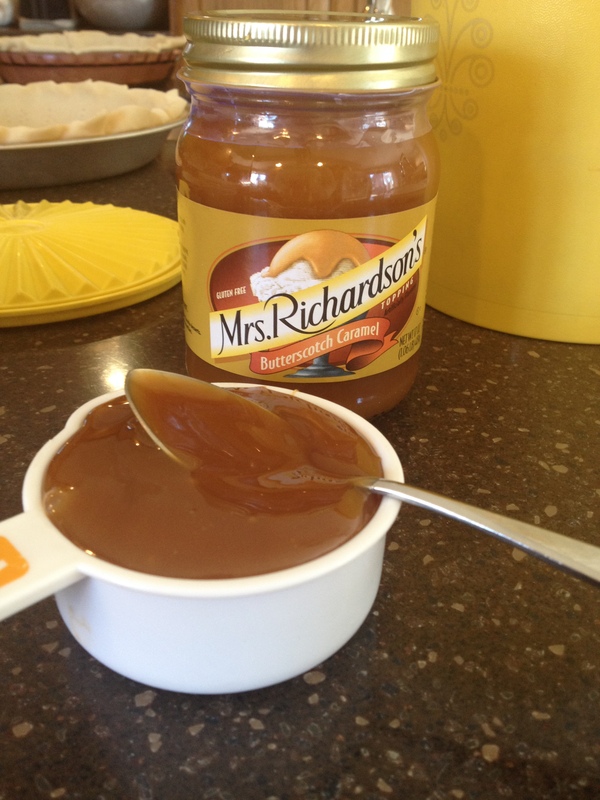 Combine caramel topping, and flour in a small bowl and spread it on the bottom of the pie crust. In a large bowl combine apples, brown sugar, flour, and cinnamon. Pour over the caramel mixture and shape with the highest pile of apples in the middle. 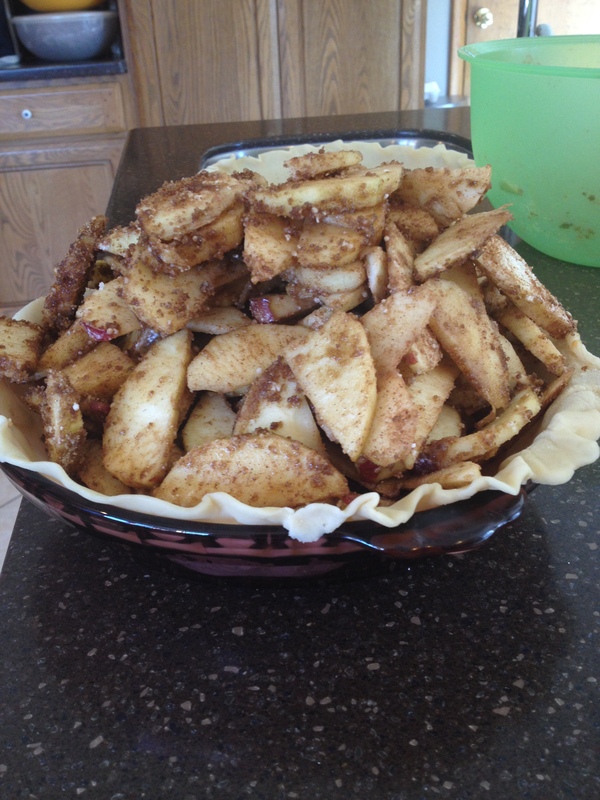 Place crust on top of apples, pinch edges all the way around, and cut air holes in the top. Brush milk over the top of the crust and lightly dust the sugar. Today is June 7, 2013, tropical storm Andrea is drowning the east coast, my diet has officially failed, and oh yeah, its national doughnut day. Dear America, THIS IS WHY YOU’RE FAT. I had no plans in taking part of this apparent national holiday. I avoided Dunkin Donuts, drove past Wawa, and I even planed to make anything other than donuts. But it happened, my father called me. “Hey Lauren it’s your Dad!” His message went on, “Hope everything is well with you, and well, I wish you were here to make some doughnuts for the girls at work, they really miss your baking…” I was guilt tripped into making doughnut by a man who works 100 miles from me. Thanks Dad. I do have a few recipes for some good baked doughnut, like apple cinnamon, or coconut, but I am still 100% against this holiday, so I rebelled without rebelling. 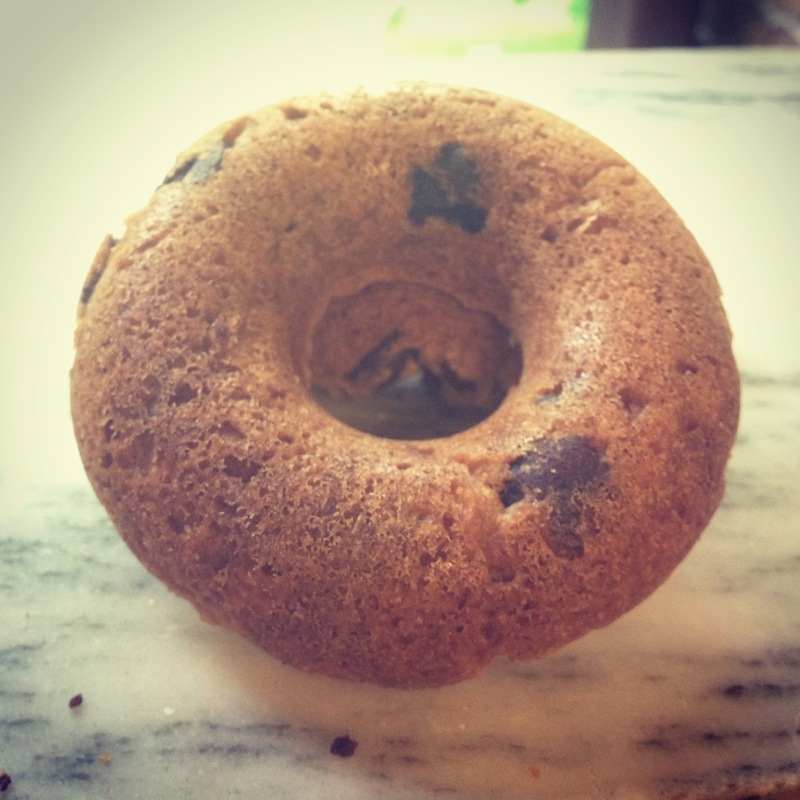 Chocolate Chip Cookie Doughnut, that’s what I’m calling them and I’m sticking to it. 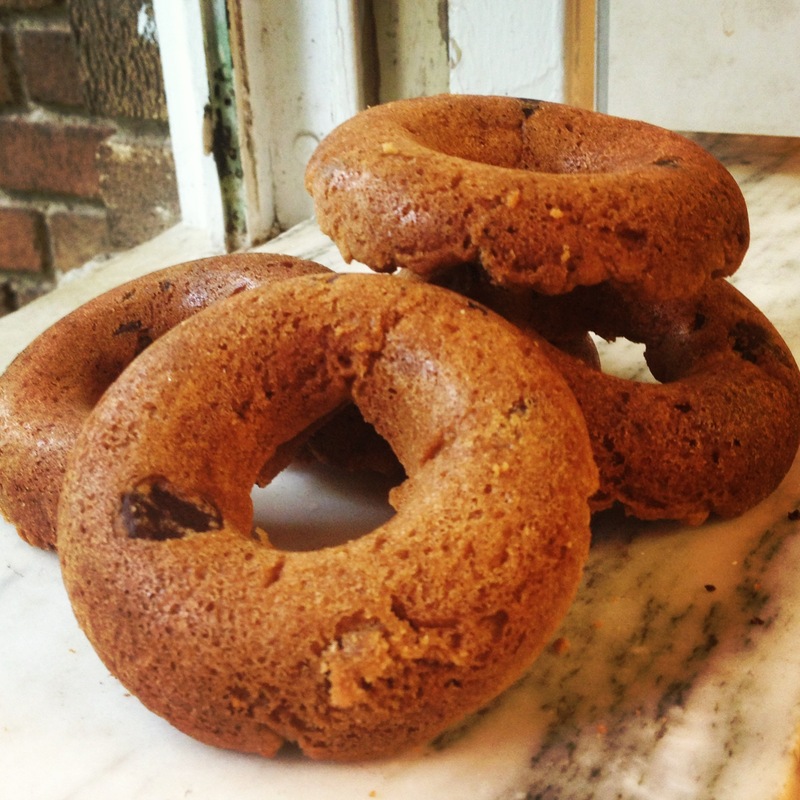 Cookies that are made in a doughnut pan, so is it a cookie or doughnut? I’ll leave that up to you to decide. These little circles of confusion would be perfect with a scoop of ice cream in the middle, or broken apart to dip in milk. They are simple as well, just take a chocolate chip cookie recipe (my favorite and the one I used can be found here), and a baked doughnut pan. Spray the pan generously with non stick cooking spray so you can get these conundrums out. Roll the dough between your hands to create a snake like figure and then lay it in the doughnut pan. 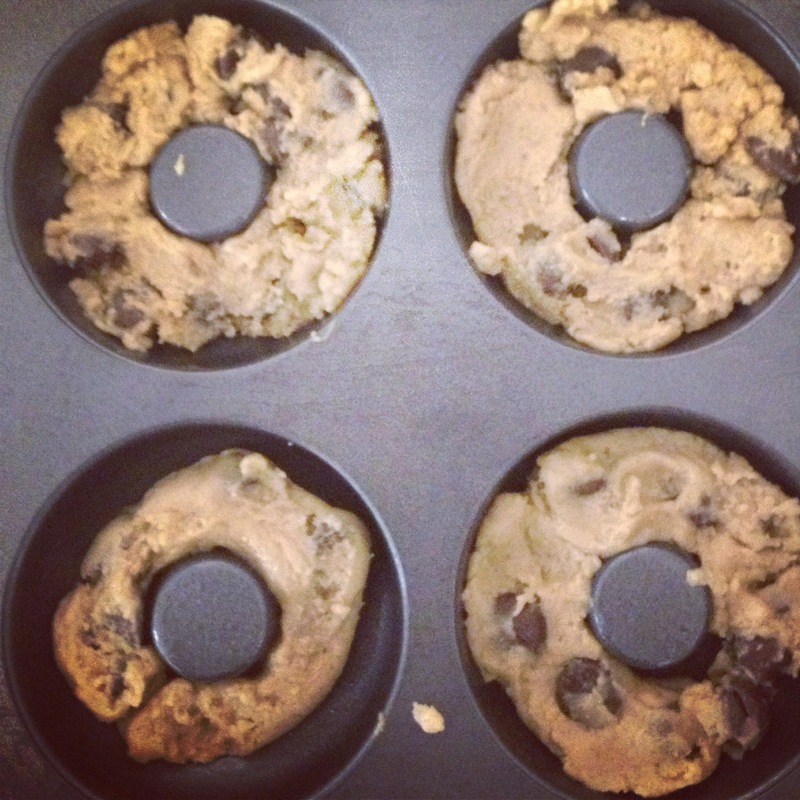 Plop it in the oven at 375 degrees for 12 minutes and you have a chocolate chip cookie doughnut.